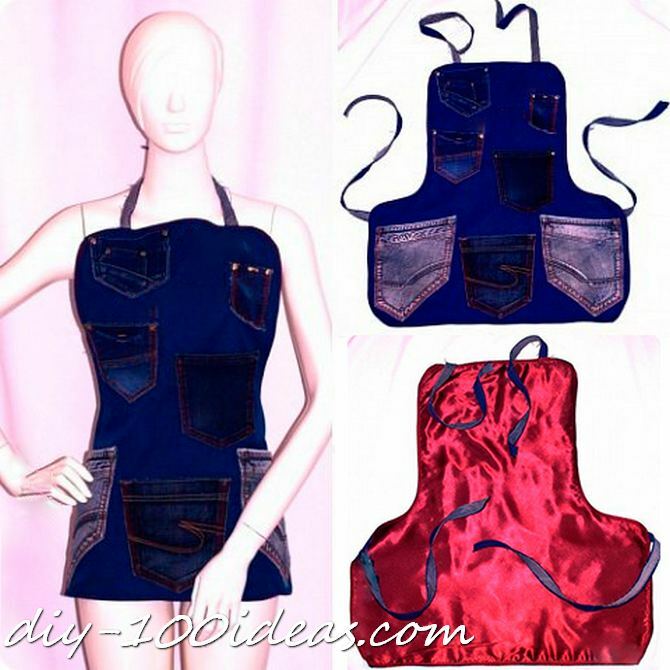 Jeans apron that is easy to make! 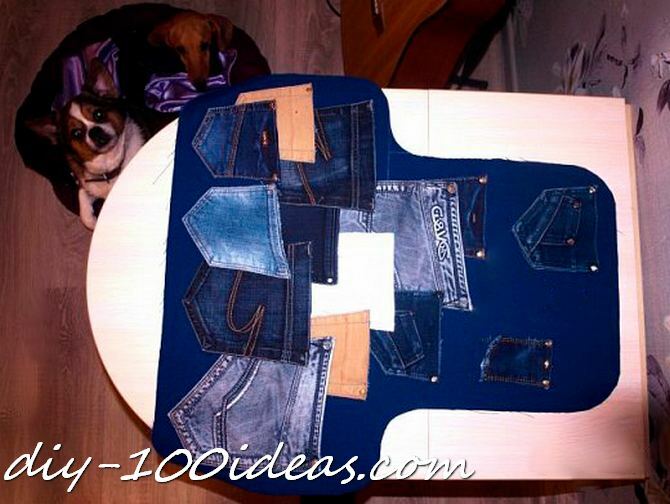 This is such a clever and practical idea! 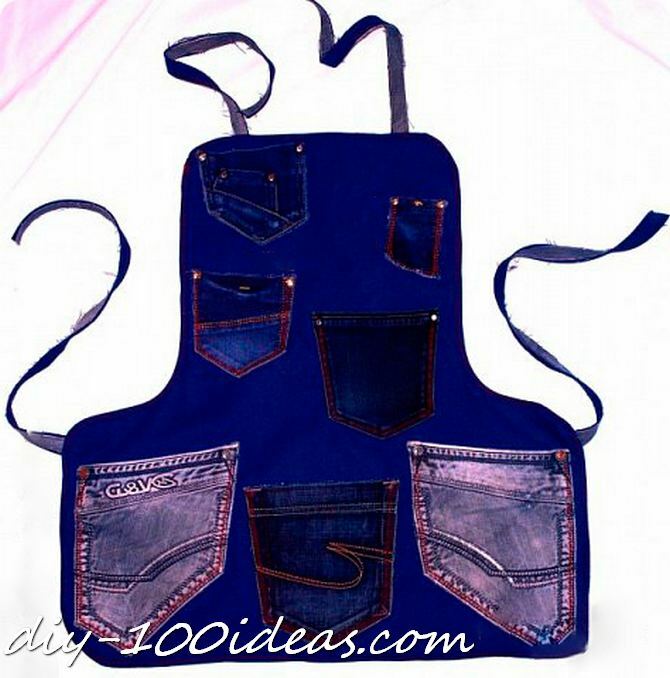 Denim jeans truly are the perfect material for spills and splatters in the kitchen. 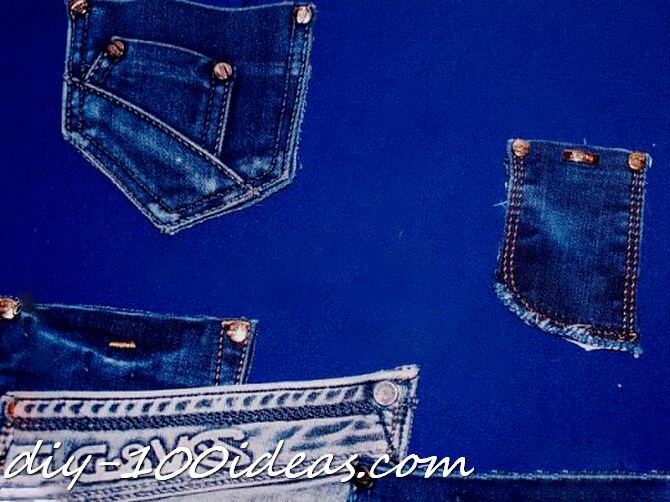 “Nothing is forgotten” with as many pockets. 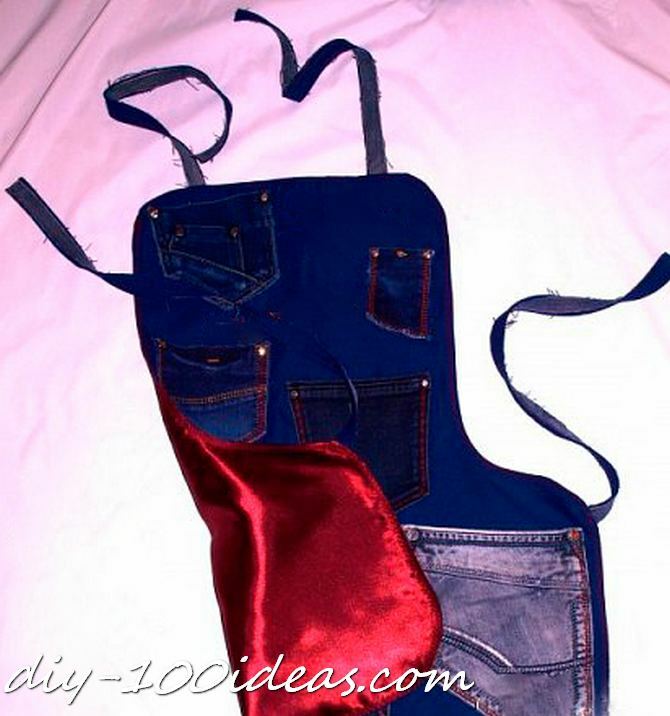 This entry was posted in Ideas and tagged apron, diy, ideas, jeans, sewing. 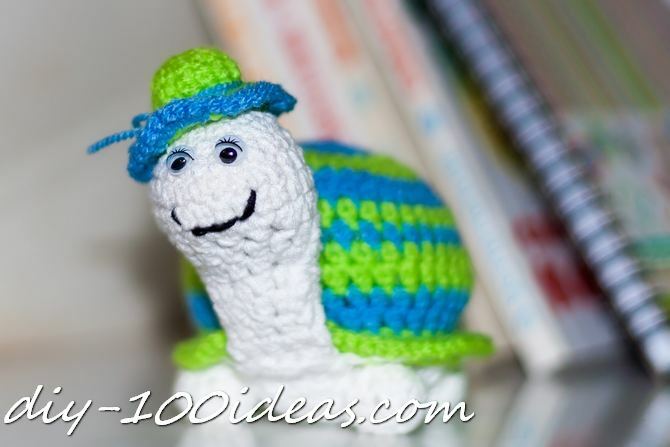 How to crochet a turtle. Free pattern.